I'm so happy that I could find some time to craft on weekend. What a great feeling! 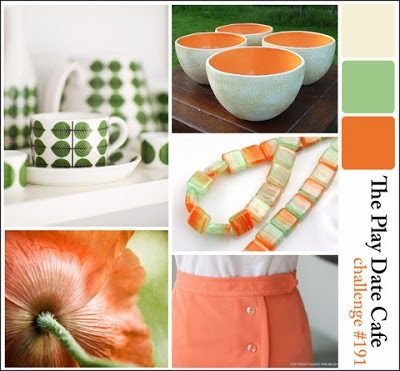 :) Lately, I was inspired by The Play Date Cafe and their amazing challenge. I decided to play along with this week's color challenge : Cream, Melon and Cantaloupe. 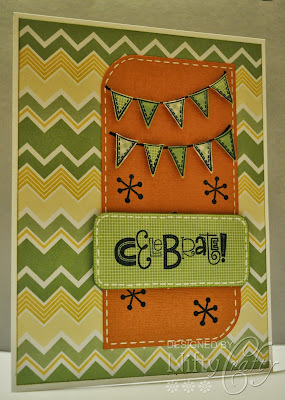 I love the color palette and made this card yesterday. Making a card with three colors was quite challenging for me but it was actually very interesting. 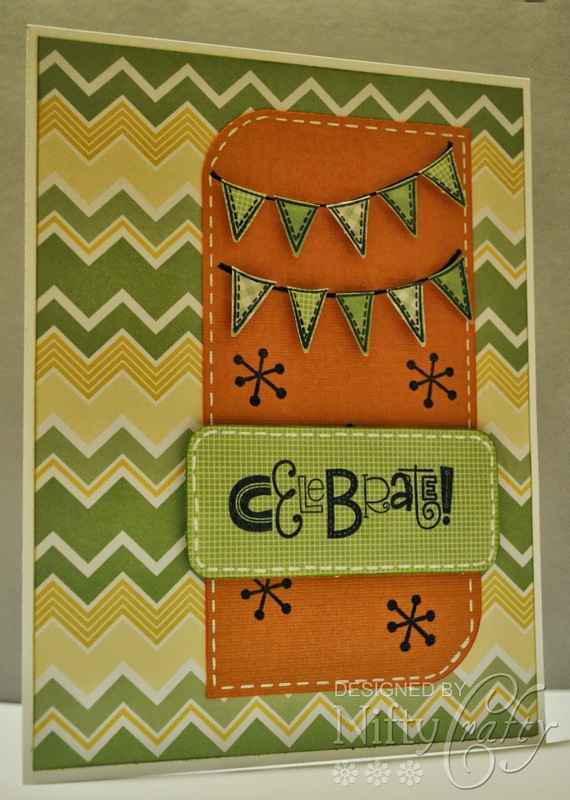 I'm also entering this card in Seize the Birthday - Anything Goes Birthday challenge. For this card, I used the Bold Basic patterned paper from Reollections. The birthday banner is adhered to the card using adhesive foam to give a little dimension. I love the birthday banner as it looks so cute on the card. Supercute card! Love the little banner! Thanks for playing at The Play Date Cafe.